The first standard Saturday timetable for 4 weeks. After an almost 20 minute pause to allow passenger workings to pass, 70015 departs for the final stage to Maritime, with 4O90 05:27 Leeds-Maritime. Earlier at Worting. 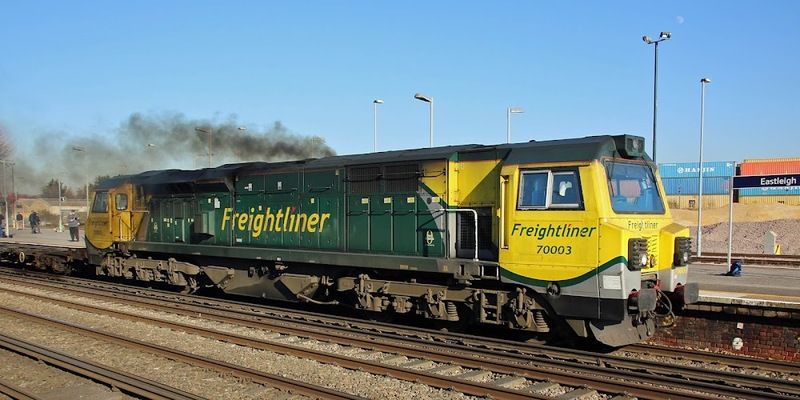 70007 has recently been seen on logs workings for Colas, but is back to working for Freightliner since 22nd. 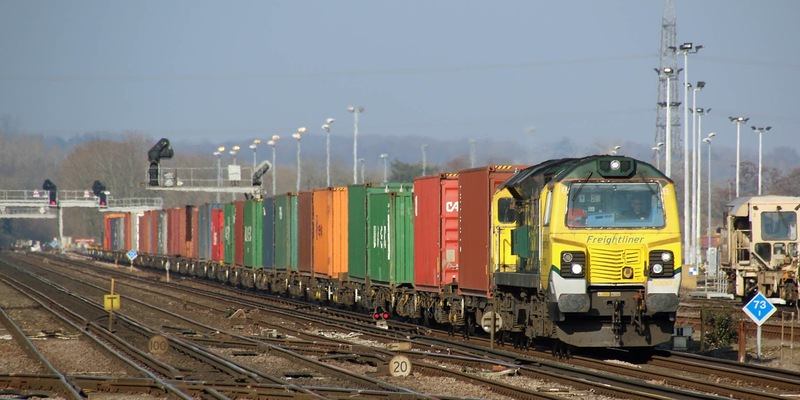 Here arriving with the empty flats for weekend storage, 4B06 11:10 Maritme - Eastleigh. It later returned light engine to Maritime. 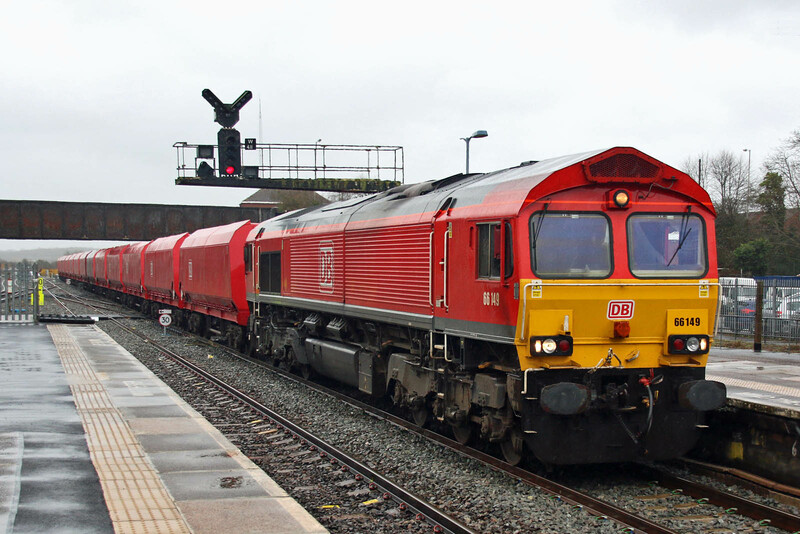 70002 arriving with 4O29 08:50 Basford Hall - Maritime. Earlier at Worting. 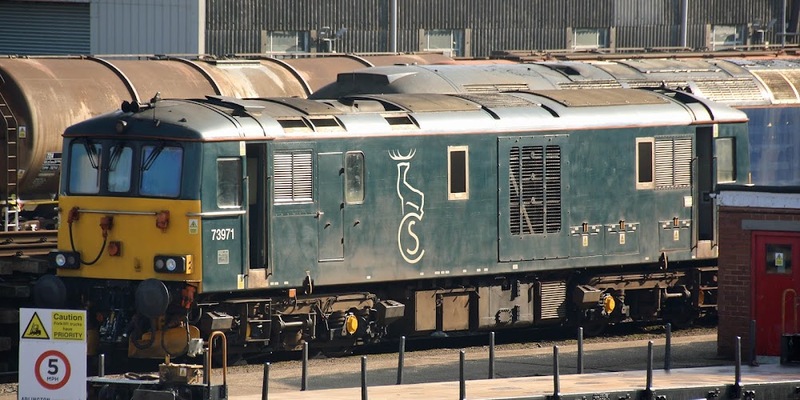 A closer view of 70002. 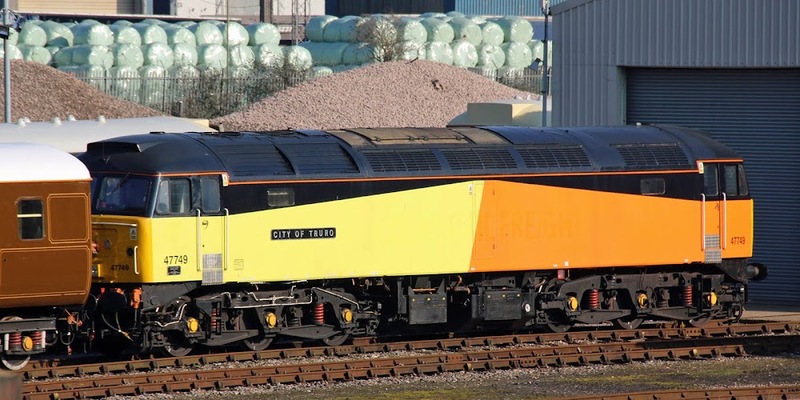 47749 CITY OF TRURO has arrived to queue for a GBRf repaint, removing the Colas colours firstly applied here in 2007, after it spent a short period in the EMR scrapyard at Kingsbury. 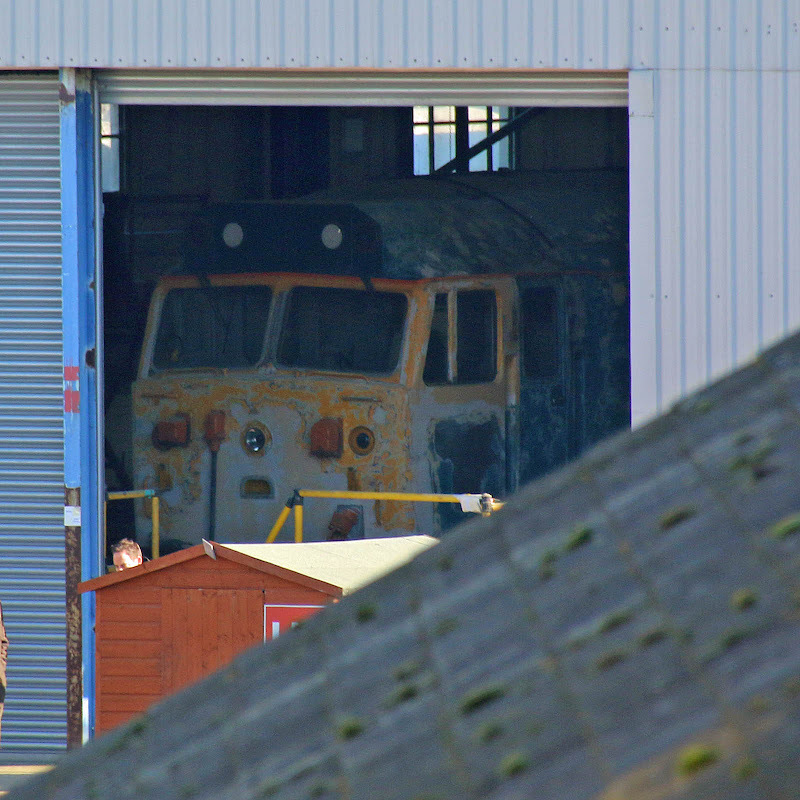 9479 may have received bogie attention, these appear to be fresh. 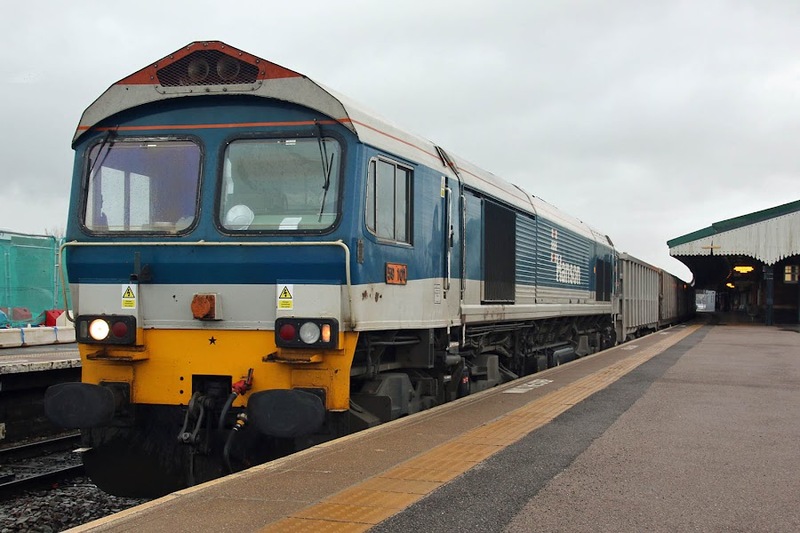 73971 has received new wheels, and seems to be ready for return to Caledonian Sleeper duties in Scotland. 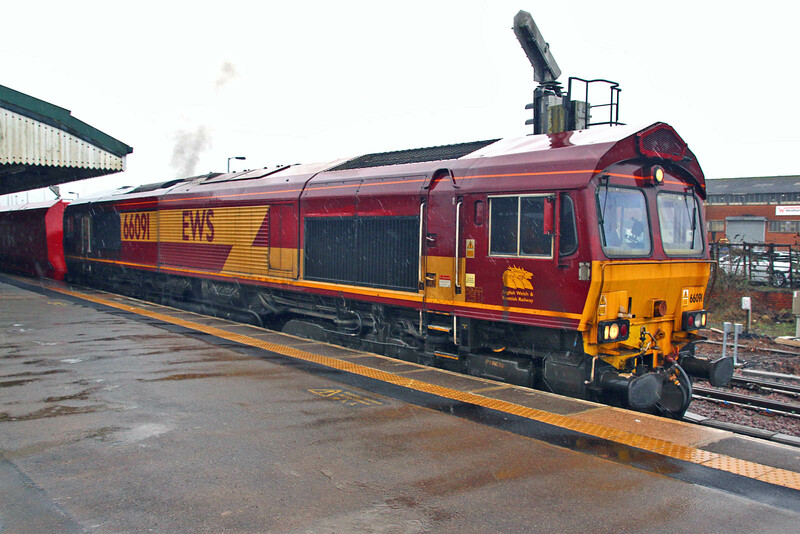 JLE12 (now ex-Jubilee Line Extension) is a bogie well wagon built by Bombardier in 1994. 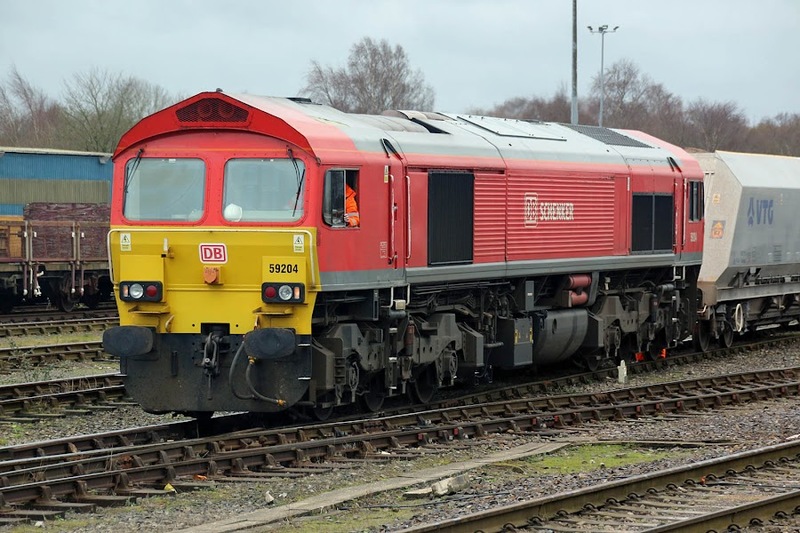 66014 shunts an empty LWR train at Eastleigh, 23rd February 2019. 47813 now sports miniature ploughs, and is named Jack Frost. 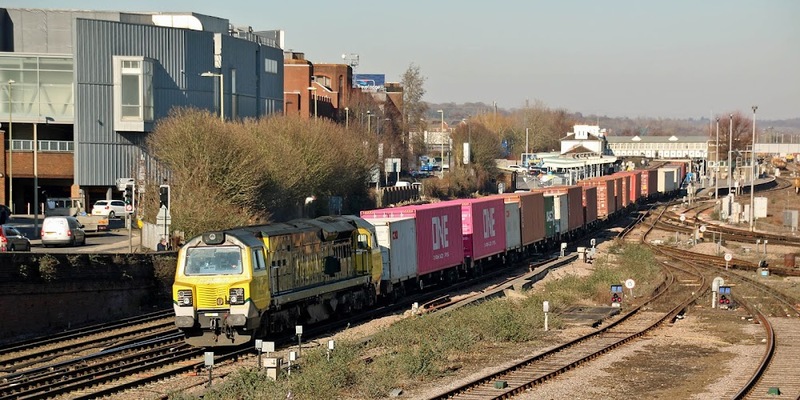 Network Rail is seeking to dispose of the MOBC, mainly already moved to Dollands Moor, and anticipated for sale into Europe. 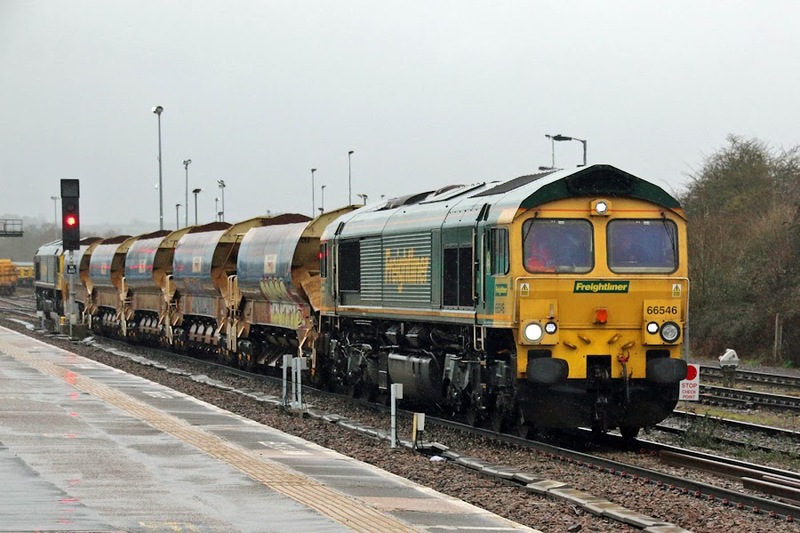 1) Are these IEP or IET trains? 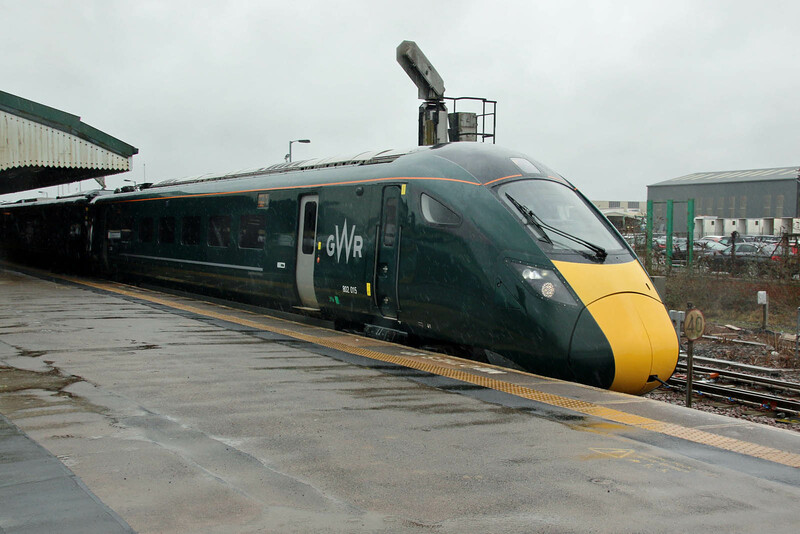 It seems that they are IEP trains, of which the GWR variant is 'IET'. 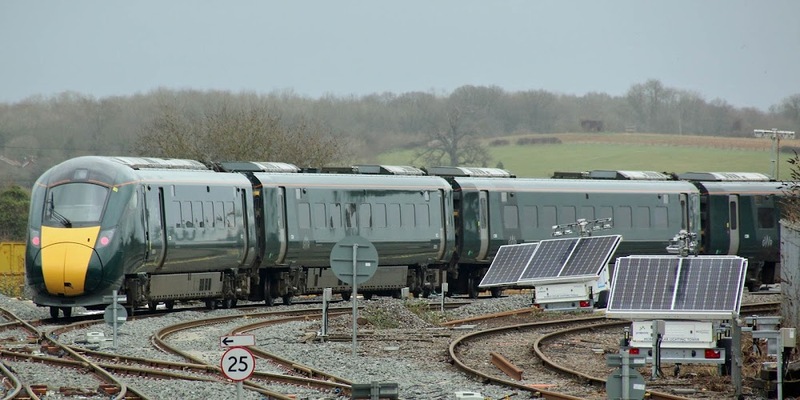 Those GWR IET not part of the DfT IEP activity are AT300. So far it appears that my previous captions have been compliant! 2) Which works built and completed each train? British, Japanese or Italian? 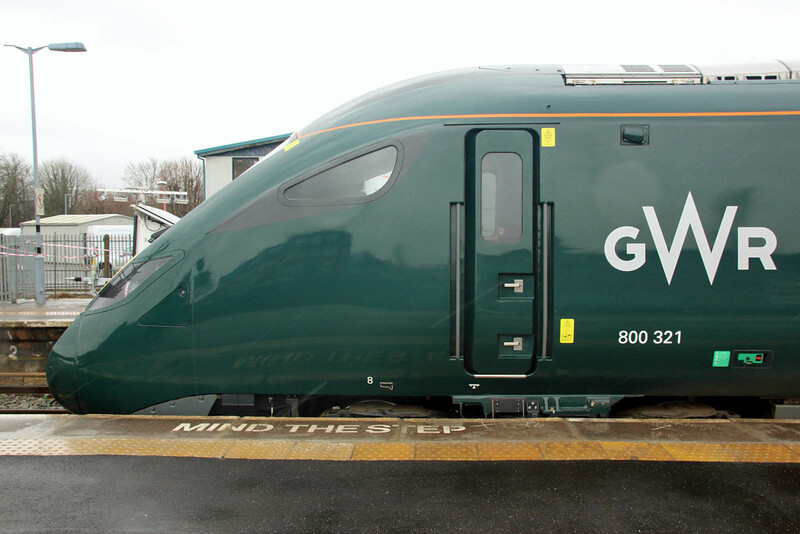 It varies, but GWR Class 802 are mostly Italian. 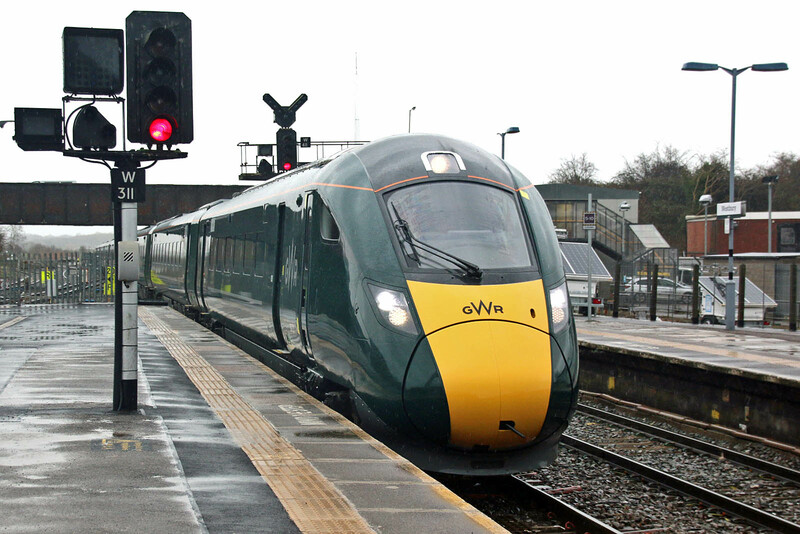 3) Will the train make it past Dawlish? The Class 802 are intended to be more robust for salt water spray issues passing Dawlish. 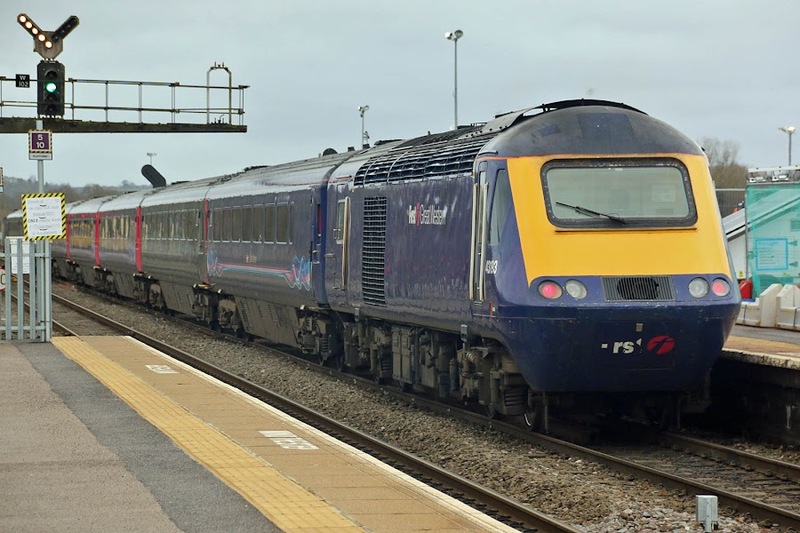 802015 + 802003 operating the 1A77 05:41 Penzance - Paddington. 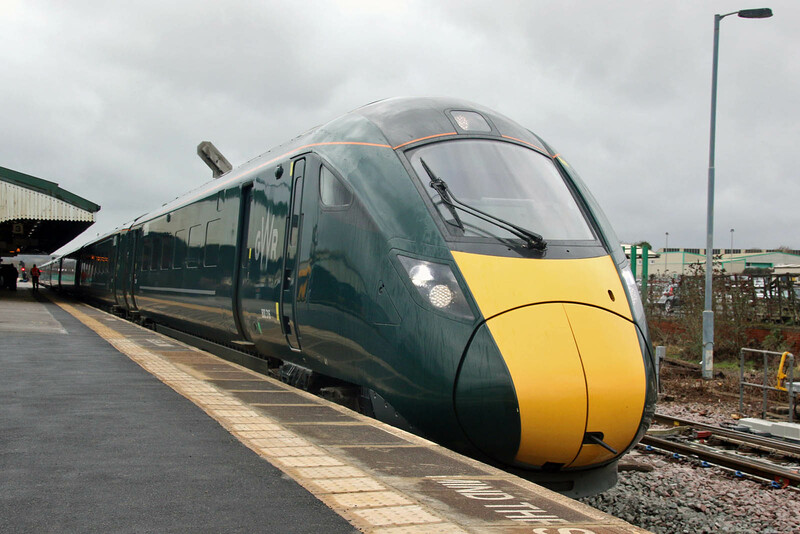 Class 802 trains, of which there are 22 five car 802/0 and 7 nine car 802/1 on order, with uprated engines, larger fuel tanks, and more robust roof mounted brake resistors, for services into Devon and Cornwall. These AT300 trains are assembled at Pistoia in Italy, the former Ansaldo Breda facility, except for 802001 / 003 / 101, assembled in Kasado, Japan. 802003 was the first assembled in Italy, although this unit has bodyshells built in Japan, from 802004 these were MIG welded in Italy from flat packs supplied from Japan. 800321 is the last of the 9 car Class 800/3, intended for HST replacement, and delivered on 11th December 2018, the 50th IET from Newton Aycliffe, assembled using bodyshells imported from Kasado, Japan. 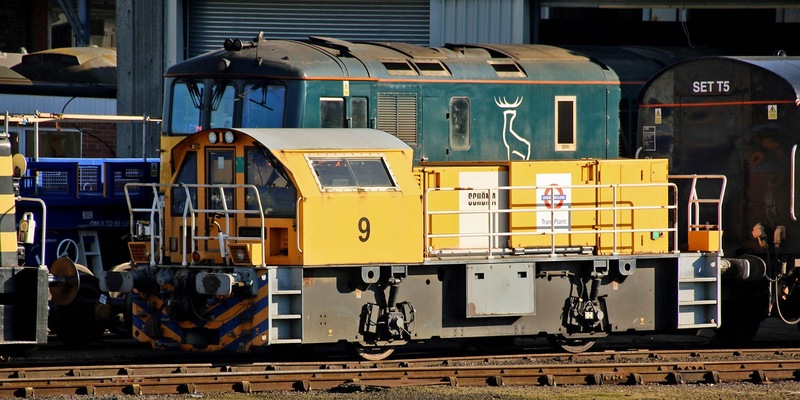 Cab end view of 800321. 800316 departs with 1A83 11:32 Paignton - Paddington. 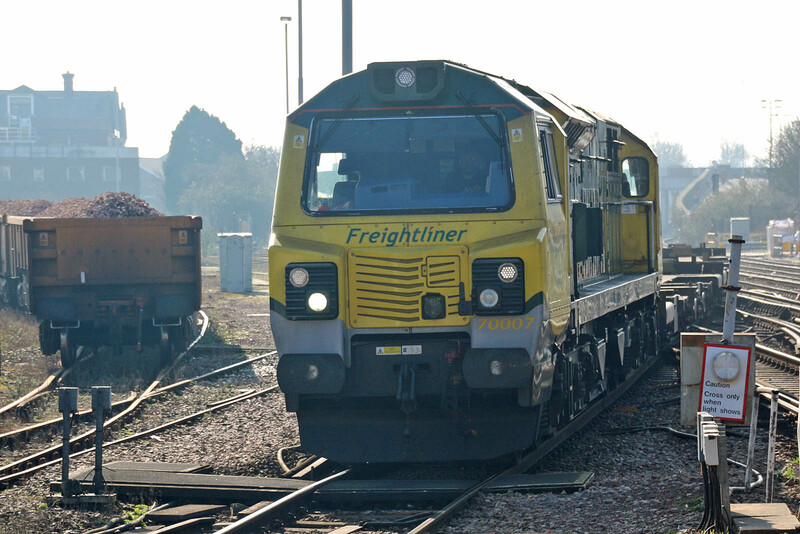 This unit departed Newton Aycliffe on 31st August. 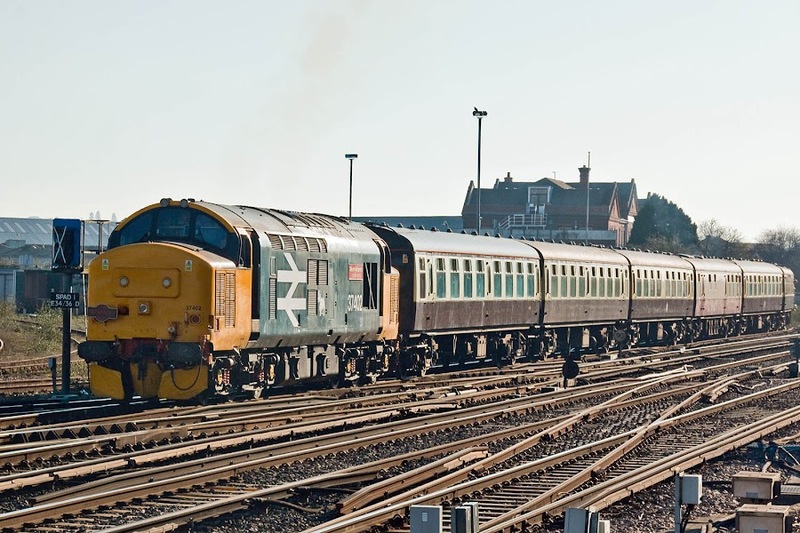 800316 heads for London via the Berks & Hants. 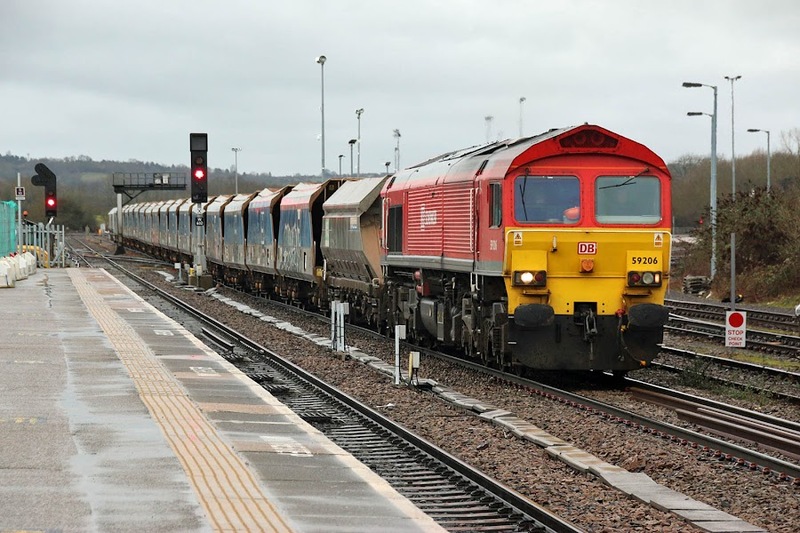 70008 leads 4O90 05:45 Leeds - Maritime. 70003 departing from a crew change with the late running 4O14 05:36 Garston - Maritime, which had departed late from Garston, losing further time throughout the Midlands area, then recovering some by missing timetabled time in loops. More power and rather more smoke from 70003. 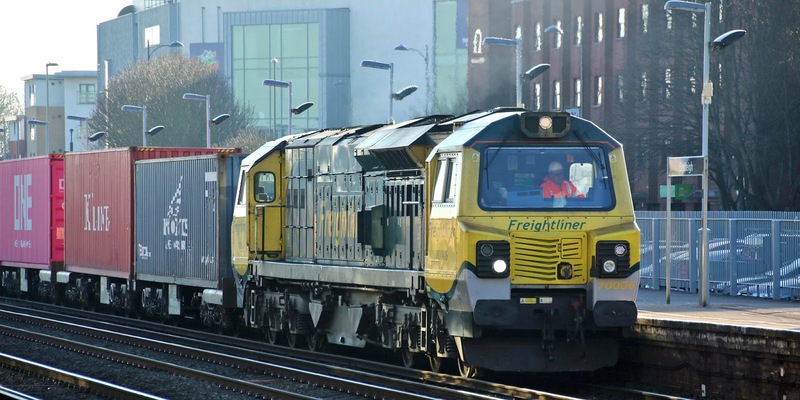 70006 arriving with 4M65 15:00 Maritime - Lawley Street. Playing a relatively secondary role at Westbury on this occasion, the presence of green / orange & black locomotives should increase significantly from the November period. 66546 and 66519 arrived with late running 6Y47 04:20 St Budeaux Victoria Road (former LSWR) - Westbury. 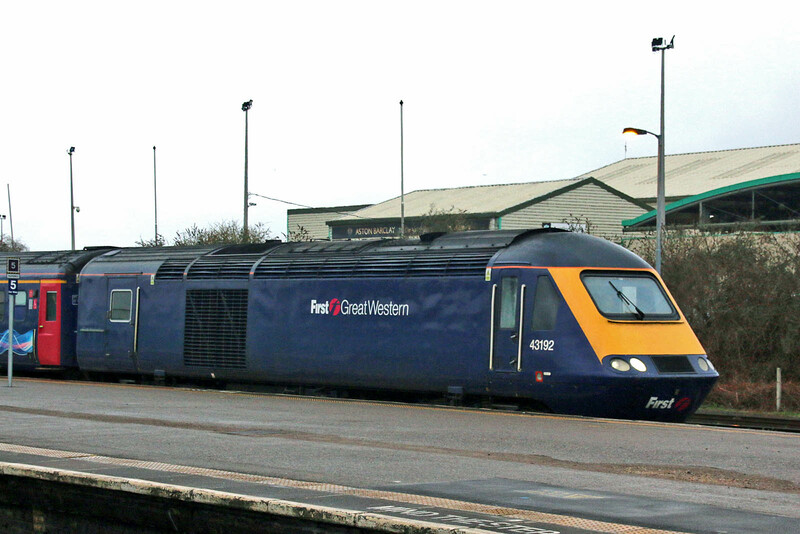 The locomotives then proceeded to Stoke Gifford. 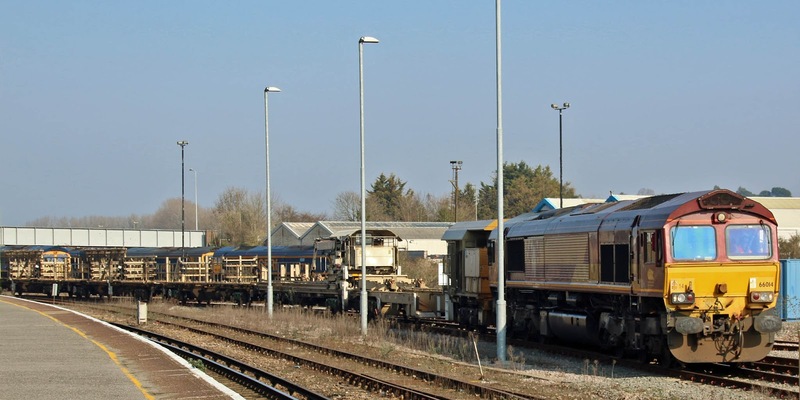 66532 + 66585 12:39 Stoke Gifford - Eastleigh. This area saw extensive track work over the Christmas period, with some replacement of signalling. 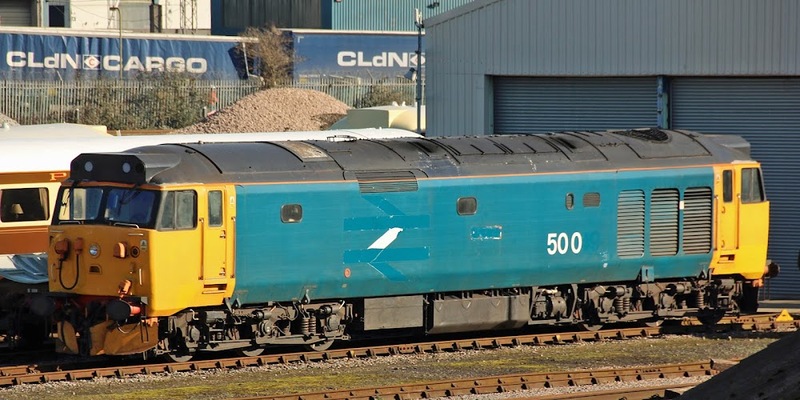 50049 awaits paint shop transformation to GBRf colours, following arrival on 13th February. 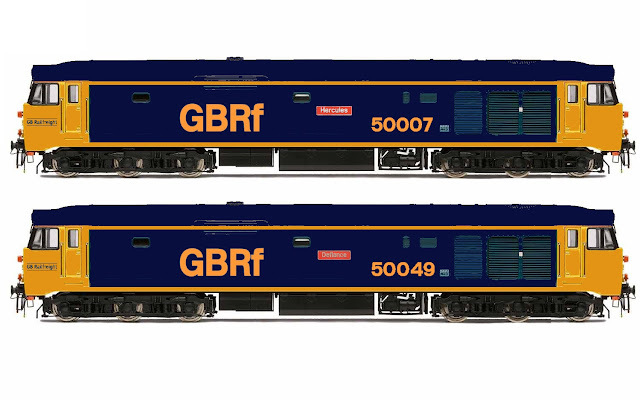 Similar work on 50007 is now under way. 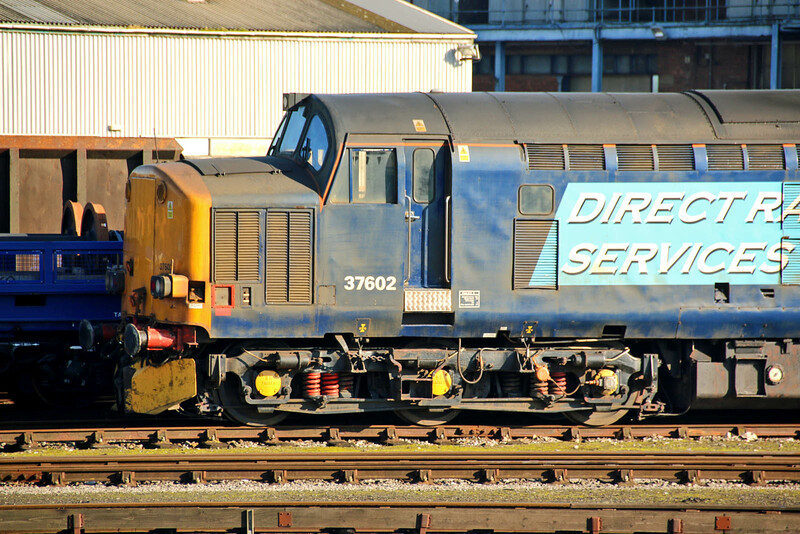 37602 which has very worn tyres, now ready for attention. London Underground Schöma number 9 DEBORA. Of 14 delivered, 10 were converted to battery from diesel. Is this one unconverted? In the background, 73971 is close to the end of its wheelsets repair. 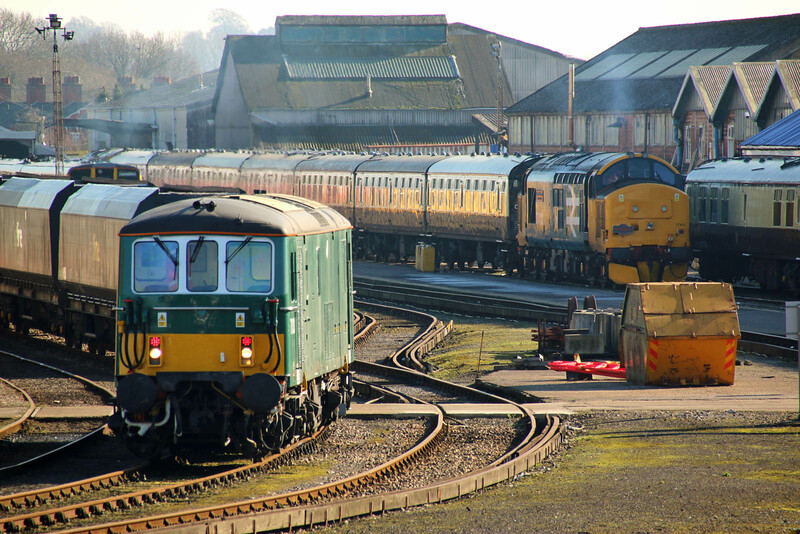 73133 and the tour train ready behind 37402. 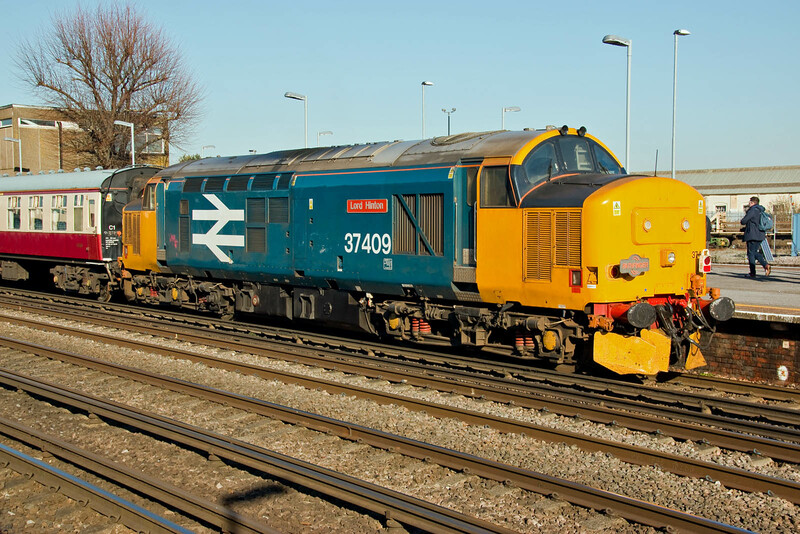 37402 leads the empty stock 5Z27 1420 Eastleigh Arlington (Zg) - Eastleigh. Approaching platform 2. 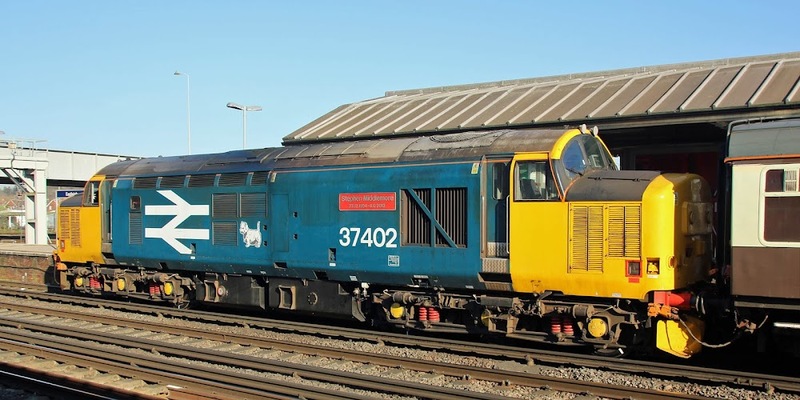 37402 received repair attention at Derby after 37409, August 2018 - January 2019. 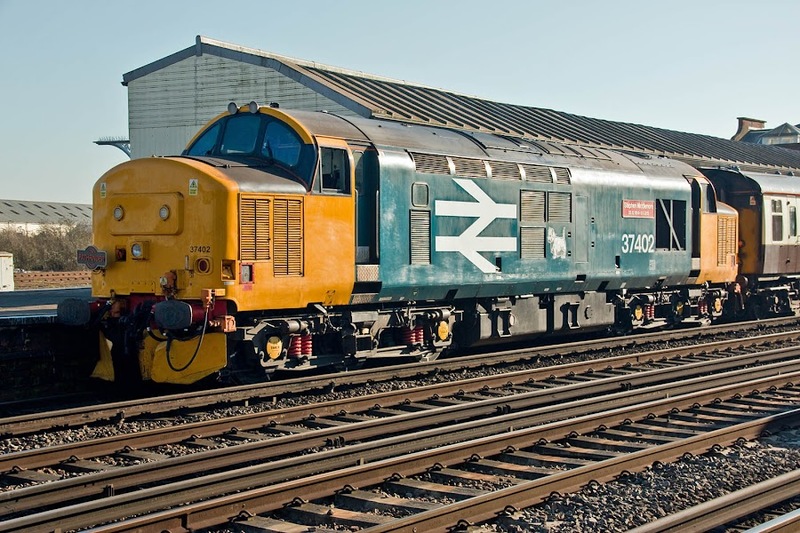 Recently overhauled 37409 Lord Hinton was one of two locomotive on "The Cumbrian Coast Farewell" on 11th January. The overhaul at Derby was completed in June 2018. A good view of the nameplate on 37402. 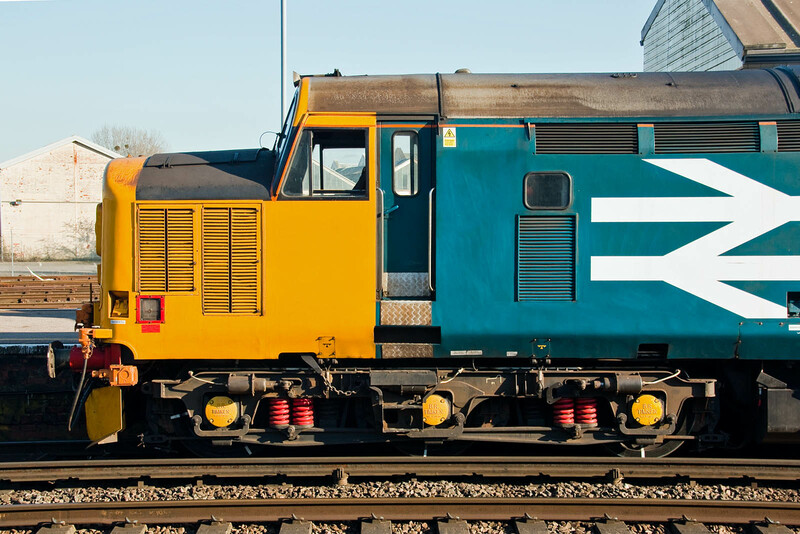 Focus upon the cab of 37402. 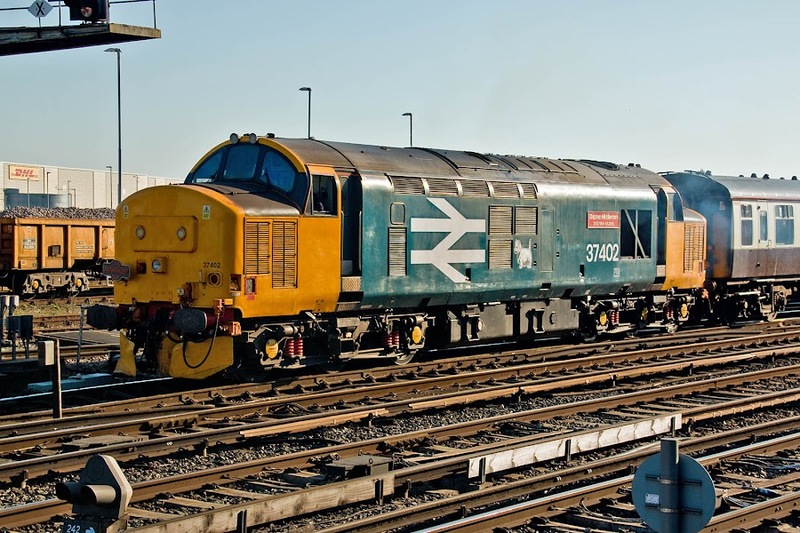 37402 being prepared for departure. - 17th October 2016 with the same two locomotives on the Cumbrian Coast. 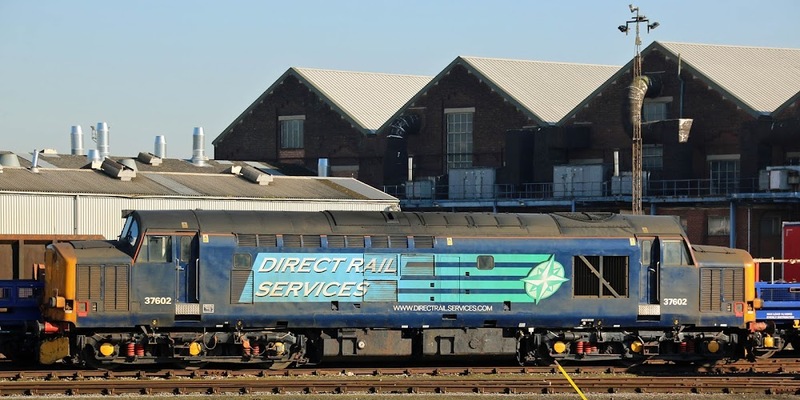 As an aside, DBSO coaches 9704 / 9707 / 9709 / 9710 from these services were stored at Longtown on 21st January, with 9705 retained at Kingmoor meantime. 37602 awaiting attention to its wheelsets at Eastleigh Works, 15th February. 37602 was new as D6782 from Robert Stephenson & Hawthorns, Darlington on 29th November 1962. 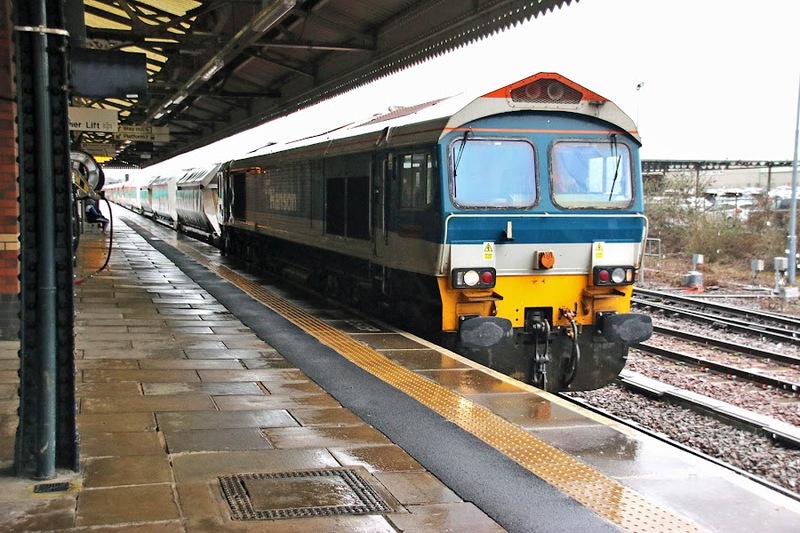 On 10th January twelve or thirteen Riviera Trains coaches were moved Eastleigh - Tyseley, where vacuum braking will be reinstated. It seems that these can then be a backup set for Vintage Trains. 21272, 6310, 3066, 3068, 3119, 3120, 3110, 1671, 1813, 4946, 4949, 4927 are twelve identified. 170107, seen on these pages in October 2018, had a fire which was attended at Pontrilas, a location visited in October 2016. 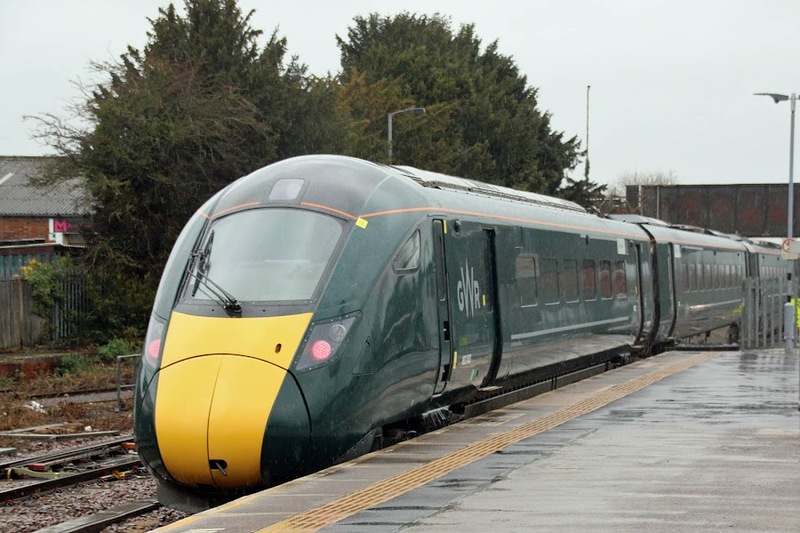 The GWR full length HST operations are currently expected to complete in the May period. 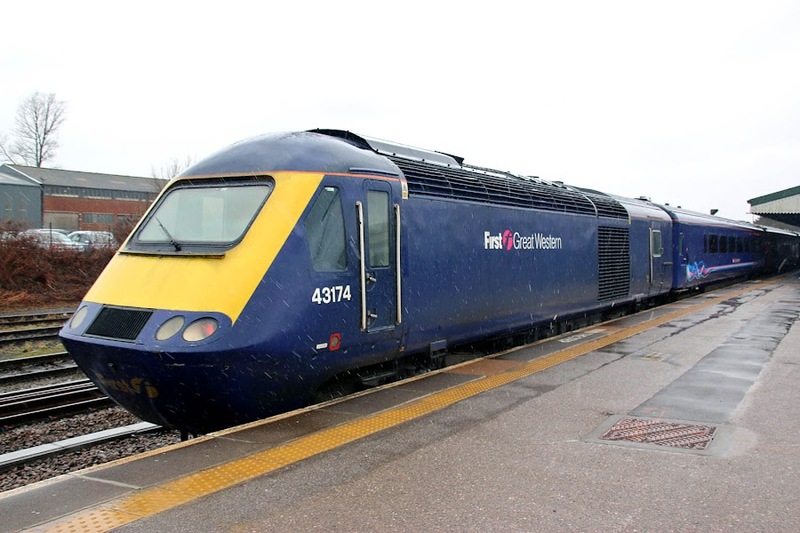 The HST GTi sets have now started to run on the Bristol - Plymouth - Penzance diagrams. 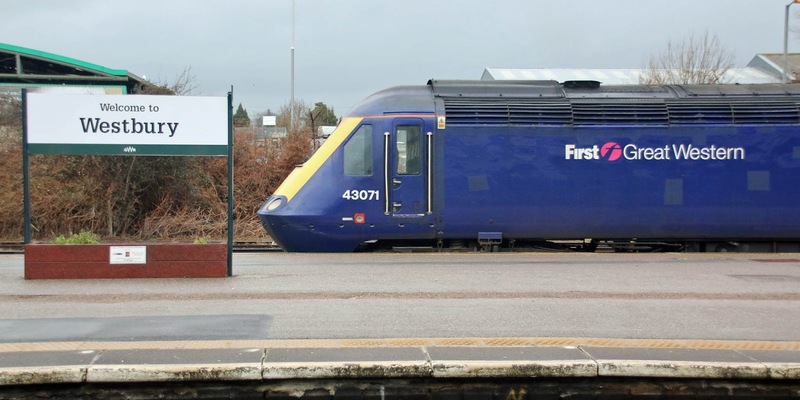 Watching 'the general public' get on and off these trains showed that many do not recognise that the doors remain a manual slam-door operation. 43098 (BREL Crewe, July 1978) is owned by First, and fitted to support door operation on the GTi sets, for which it has already been noted on the early workings. 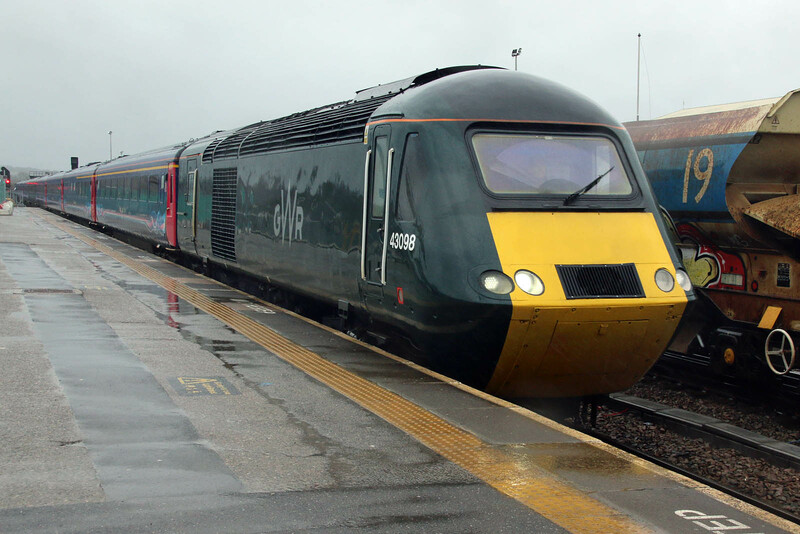 Here it is operating as a traditional HST, 1A79 06:47½ Penzance - Paddington. 43174 (BREL Crewe, August 1981) was on the rear. This power car is owned by Angel Trains, and is believed to have come off lease after usage on Saturday 9th. 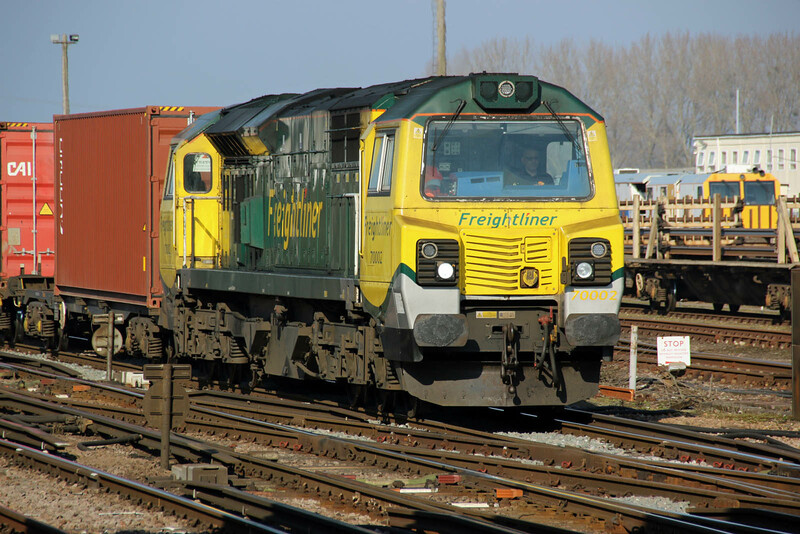 Update: Worked to Ely for storage 5th March. 43197 (BREL Crewe, August 1982) arrives with 1C81 12:33 Paddington - Taunton. 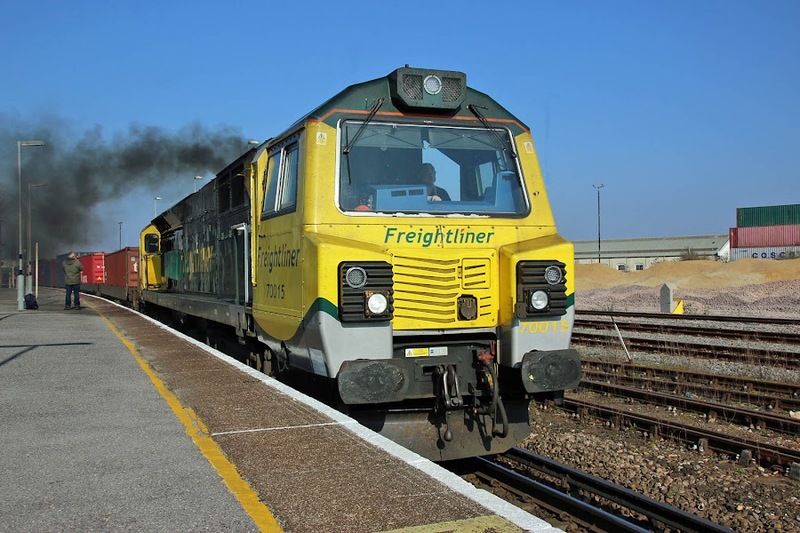 Owned by Porterbrook, and expected to come off-lease. 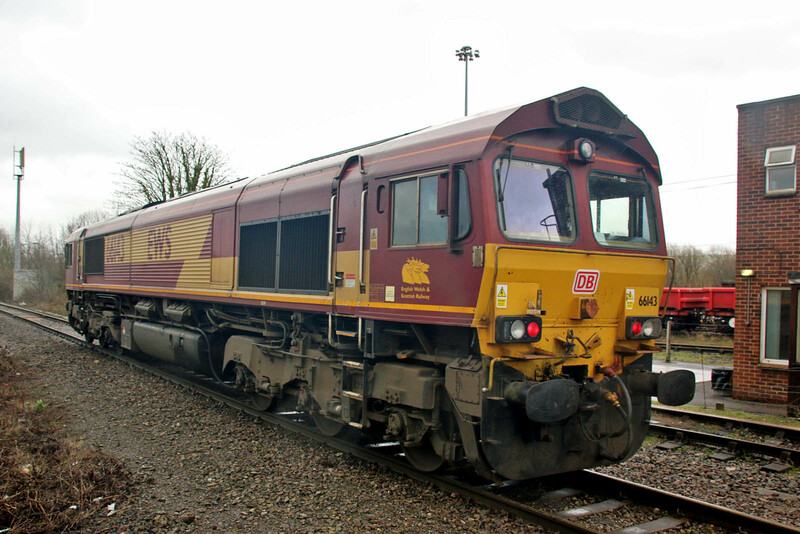 Update: Off-lease by 5th March, to Long Marston 11th March. 43193 (BREL Crewe, May 1982) on the rear. 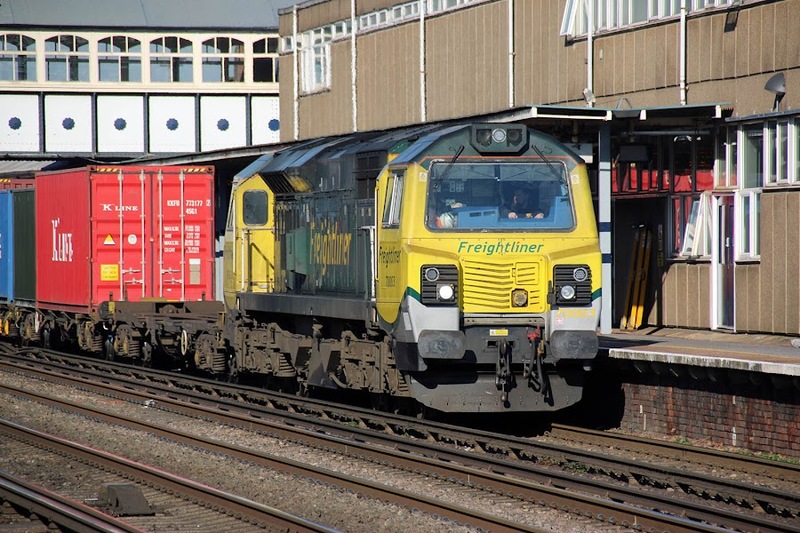 Again owned by Porterbrook, and expected to come off-lease. One of the long standing signals on the gantry has been replaced by the LED signal only partially seen above the train. Update: Off-lease by 5th March, to Long Marston 11th March, still in pair with 43197. 43192 (BREL Crewe, May 1982) arrives with 1A87 1255 Plymouth - Paddington. This Angel Trains owned power car is due to come off-lease. 43071 (BREL Crewe, November 1977) on the rear. 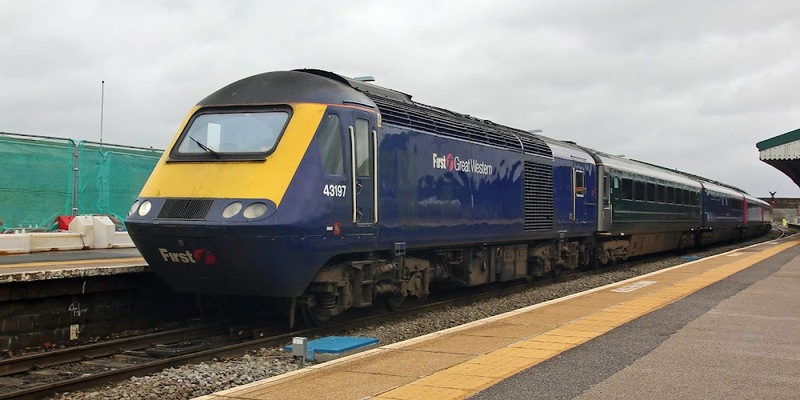 Owned by Porterbrook and due to come off-lease. 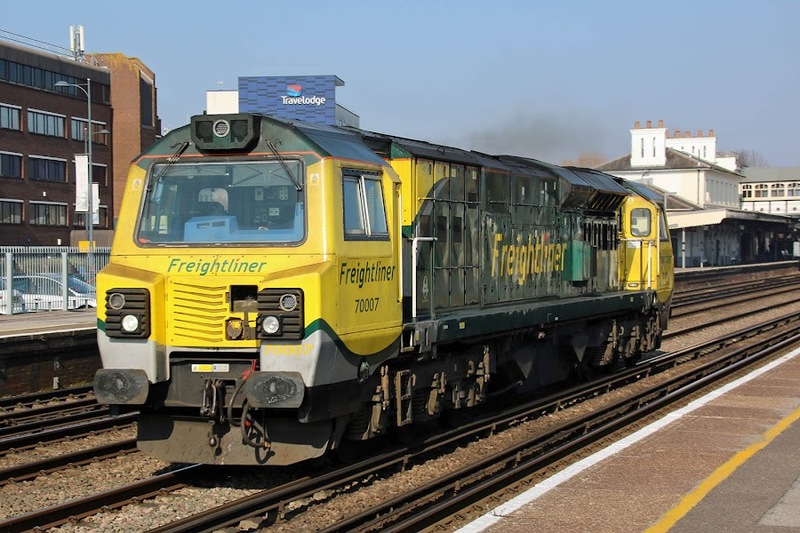 The Class 59/1 locomotives are expected to transfer to Freightliner operation in November 2019. 59101 Village of Whatley was shipped from GMD, London, Ont. to Newport, arriving on 19th October 1990, and unloaded the following day to enter service in November that year. Seen here leading 7C77 12:40 Acton - Merehead empties. 59102 Village of Chantry arrives in a heavy downpour, for a crew change, leading a late running 6L21 13:23 Whatley - Dagenham. 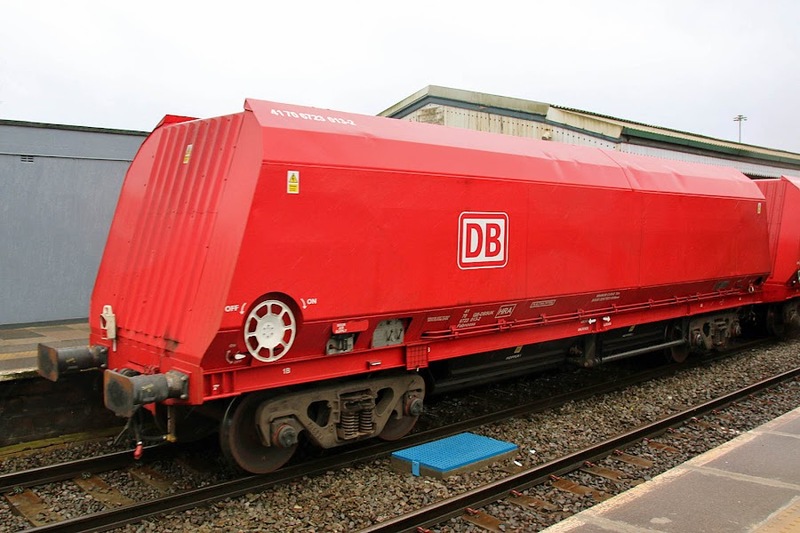 Ready for the away, the train was in the hands of a GBRf driver contracted to cover for DB Cargo crew. 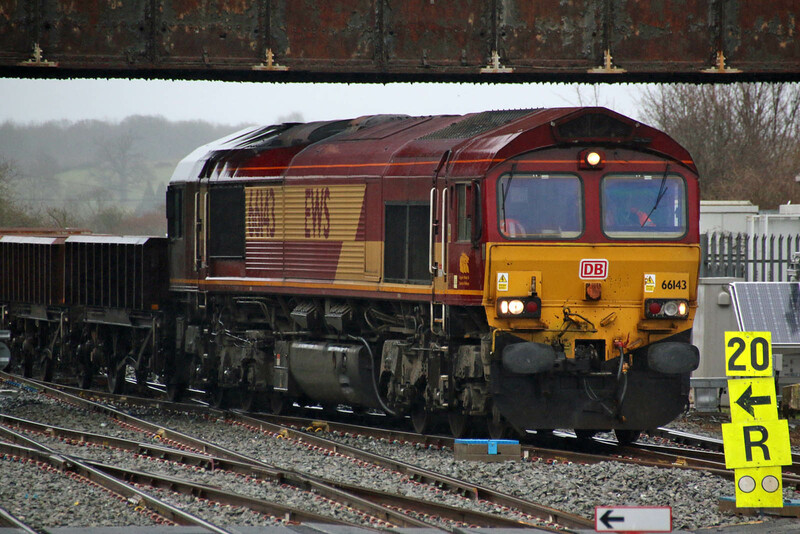 66143 arrives with 6W05 05:15 Whitland - Westbury, formed of MHA wagons with 66009 on the rear. 66091 passing through with 6M20 1037 Whatley - St Pancras (Churchyard Sdgs Tarmac), formed of another set of HRA wagons. 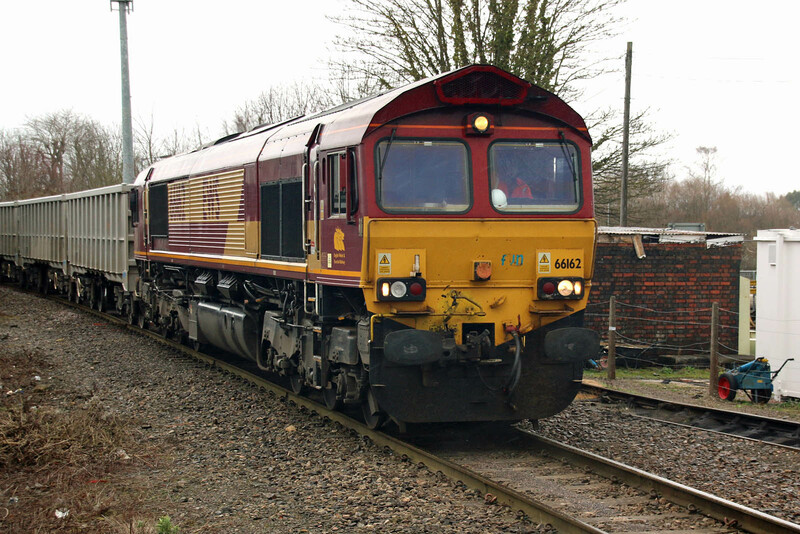 66143 prepares to depart as 13:08 Westbury - Fenny Compton to then work a 3F08 17:38 MOD train to Marchwood. 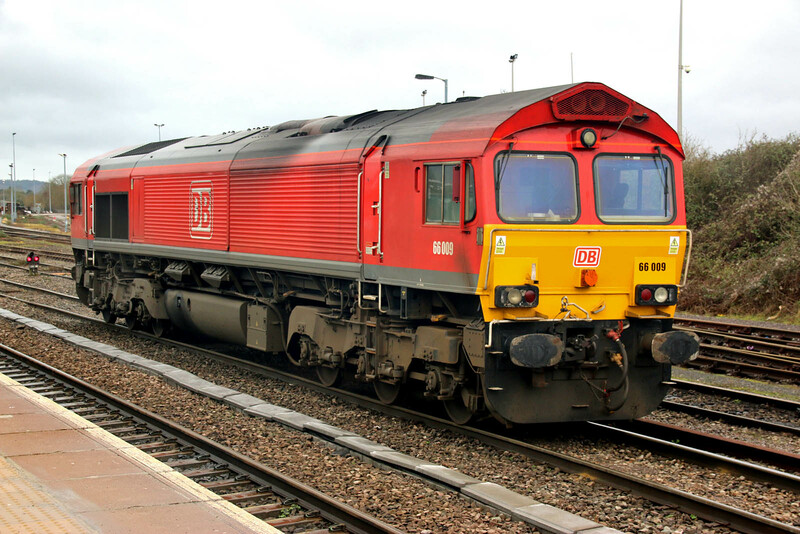 66103 arrives in the down yard from Exeter, a route learning duty via Yeovil and 'The Mule', ahead of the Whiteball Tunnel closure. 66162 stopping for a crew change, hauling 6C58 11:55 Oxford - Whatley. 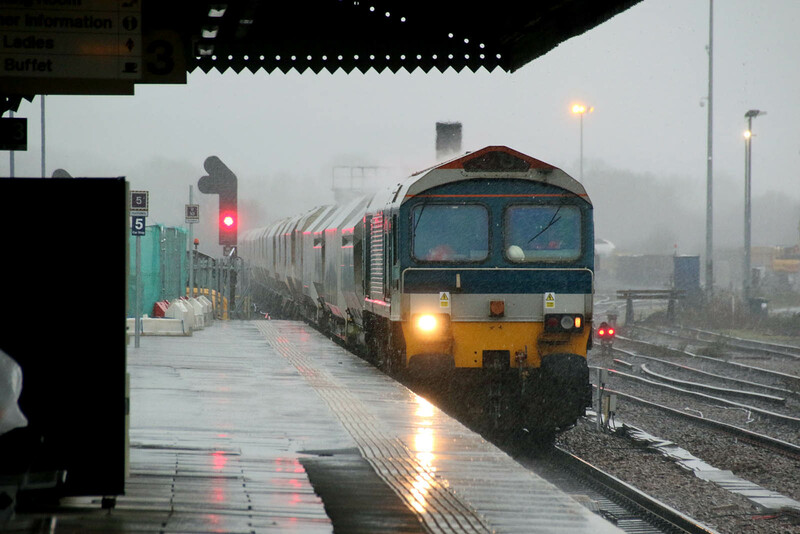 A day at Westbury in high winds and rain, capturing Mendip aggregates trains when still under the current contract with DB Cargo, planned to change to Freightliner in the autumn. 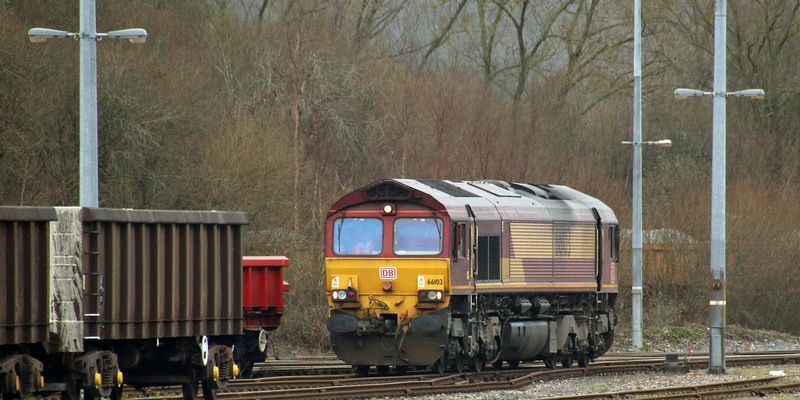 66044 shunting from up to down sides with some auto-ballasters. These then formed the rear part of 6O41 to Eastleigh, with the locomotive trailing at the tail of the train. 66149 passes with 07:47 Acton - Whatley. 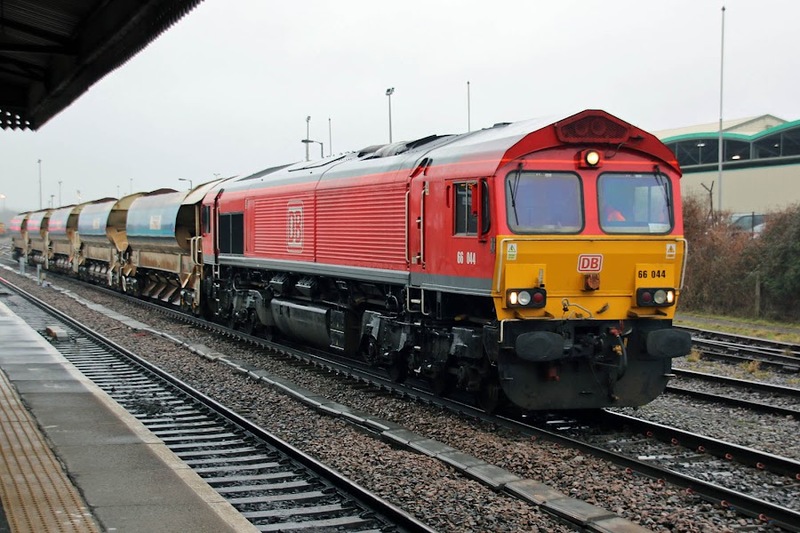 The consist was formed of HRA wagons, which are shortened HTA wagons converted 2017-18 from usage in coal traffic to aggregates use. This example is 41.70.6723.013-2. 59206 arrives with 7B12 11:30 Merehead - Wootton Bassett. 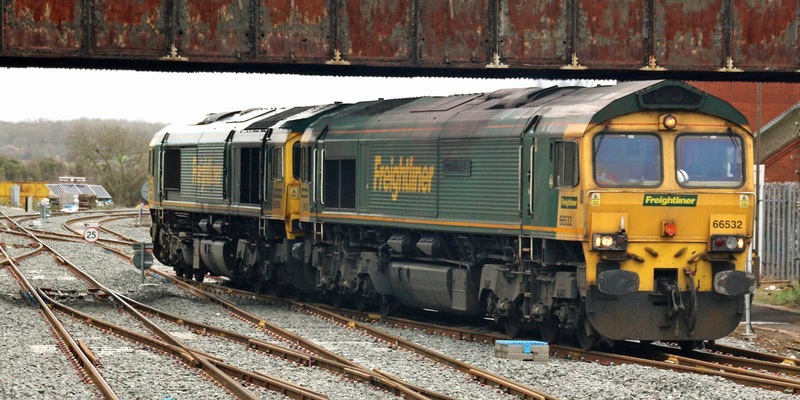 66009 arrived on the rear of 6W05 05:15 Whitland - Westbury, and took over yard shunting duties. 59204 arrives to run around 7O40 13:35 Merehead - Eastleigh.